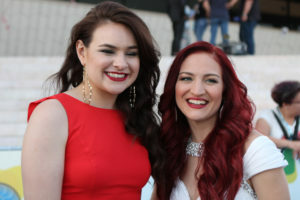 According to a press release from San Marino RTV, Italy’s official broadcaster, commentators have made “offensive statements” during the broadcast of Eurovision’s 2018 second semi-final and ended up influencing the viewers at home who were voting. Alessandro continues on telling that even if San Marino had awarded the 12 points to Italy in 2017, the result would’ve been exactly the same, and adds “Italy has never once awarded San Marino anything more than 6 points”. By the end of it, San Marino’s head of delegation promises he’s meeting the Director General of San Marino RTV and will most likely request an evaluation from the EBU in regards to what happened.